Tucked away in gorgeous Waiheke, this beautifully renovated cottage will immediately transport you to the picturesque countryside of France. 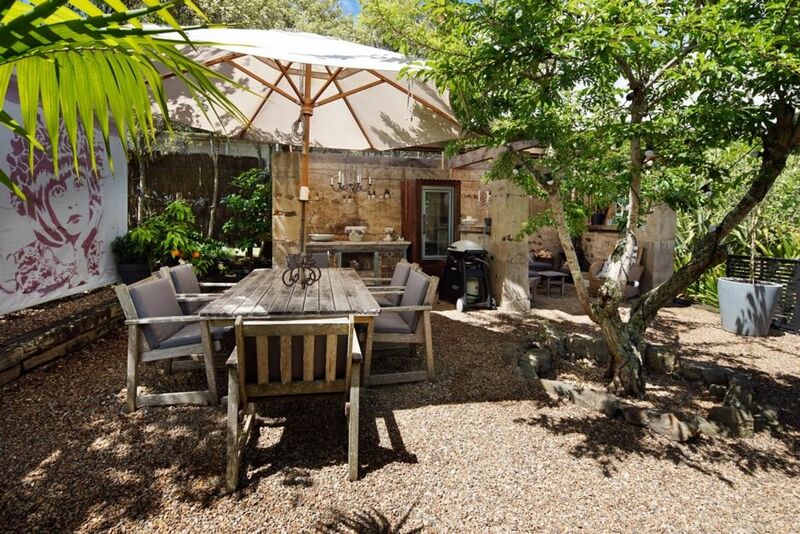 With all day sun, a gorgeous outdoor courtyard and luxurious yet relaxed style, The French Cottage has all the makings of the ultimate Waiheke getaway - no matter what time of the year. This perfectly positioned piece of Parisian paradise is just a ten minute walk to Little Oneroa Beach or the Palm Beach track, and a five minute drive from Oneroa Village, making it easy to explore all the island has to offer - beaches, cafes, restaurants, galleries, and more. With open plan living and a lovely indoor outdoor flow, you’ll feel at home as soon as you arrive. The main living room opens out to a beautiful private courtyard and bar - perfect for entertaining friends and family, and there is a rustic outdoor fire for those cooler nights. The cottage has two beautifully presented bedrooms, one with a king bed, the second with a queen. There is also a sitting room with a flat screen TV and fold out sofa (sleeping an additional 2). See photo. This can be curtained off for privacy. The fresh white bathroom has a clawfoot bath and standalone shower. Kitchen facilities include a gas hob, oven, microwave, and dishwasher. There are two TVs, a DVD player and big collection of DVDs, a heat pump, WiFi, and full laundry facilities. Loved our stay.Clean and well equipped with everything we needed for our stay. Great location, amazing place with all you’d expect and more, excellent setup. A beautiful and very restful property. A beautiful and very restful property. It had everything we could need and more. I highly recommend it. The cottage has been done up beautifully, every detail of the property is exceptional. The cottage has been done up beautifully, every detail of the property is exceptional. The courtyard is really lovely , house was warm and the bedding was very comfortable. The lounge with fold out bed can be curtained off for privacy. Lovely cottage, beautifully presented, very clean, well-equipped with plenty of wine glasses, plates and cutlery. The cottage is charming and full of character with a gorgeous courtyard with table and chairs and BBQ.